Today is born the seventh one, Born of woman the seventh son, And he in turn of a seventh son, He has the power to heal, He has the gift of the second sight, He is the chosen one, So it shall be written, So it shall be done, Seventh son of a seventh son, Seventh son of a seventh son, Seventh son of a seventh son, Seventh son of a seventh son. Oh, wait, what? This isn't an Iron Maiden concert? That explains why Julianne Moore is here. It is a shame, I suspect that a concert would have been more fun. I guess I really should say something about this big medieval fantasy tale of knights, swords, witches and monsters. Hey, that sounds like fun. 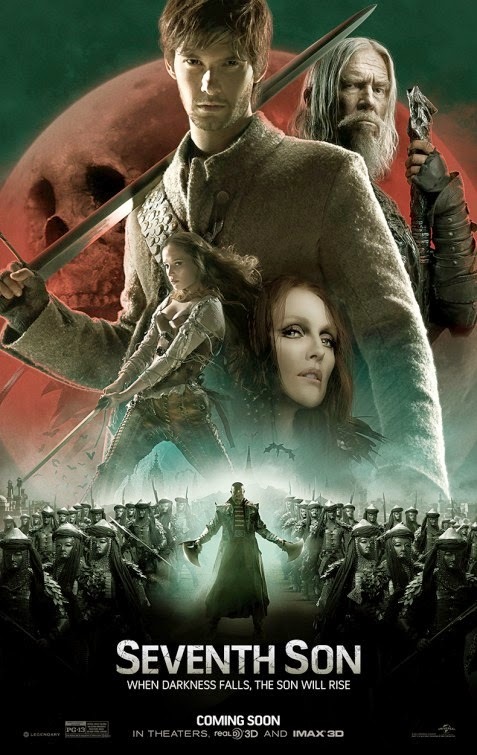 Seventh Son has finally arrived in theaters after a few years of stop and go and stop again movement. Fortunately, it did not take seven tries to get to the theater, only four. Seriously, the film was originally slated to come out a few years ago. It was initially delayed when the special effects company went bankrupt, another time it was caught in the split between Legendary Pictures and Warner Brothers. I even remember seeing trailers for it back in 2013. I had initially written it off, but somehow I still found myself sitting in the theater. Based on the book The Spook's Apprentice by Joseph Delaney (and part of a long running series), the movie was directed by Sergei Bodrov and written by Charles Leavitt, Steven Wright, and Matt Greenberg. I have never read the book, but I have to imagine they did a better job at setting up the world than this movie did. It is weird, for a big world with monsters, witches, and knights who fight them, that the world would be a bit more interesting than it is. We start off with pretty intriguing sequence where we see a young knight imprisoning a monster in a mountaintop cage before years go by and we pick up the story with the young knight now an aging drunk. It does not take long to discover that drunk is still pretty skilled in a fight sequence that appears to be a demonstration of The Dude's fighting style, perhaps Excalibowski? You'll get it if you see it. The movie is pretty simple and straightforward. As the story gets underway the being imprisoned in the opening breaks out. Turns out is Mother Malkin (Julianne Moore), the most powerful of all the witches and she has plans for the man who imprisoned her, Sir Gregory (Jeff Bridges). Now, Gregory is a member of an order called Spooks who fight the forces of darkness. It seems the only ones eligible are the seventh sons of seventh sons. He also is on the hunt for a new apprentice. The apprentice turns out to be Tom Ward (Ben Barnes), an unassuming son of a farmer with dreams of something more. 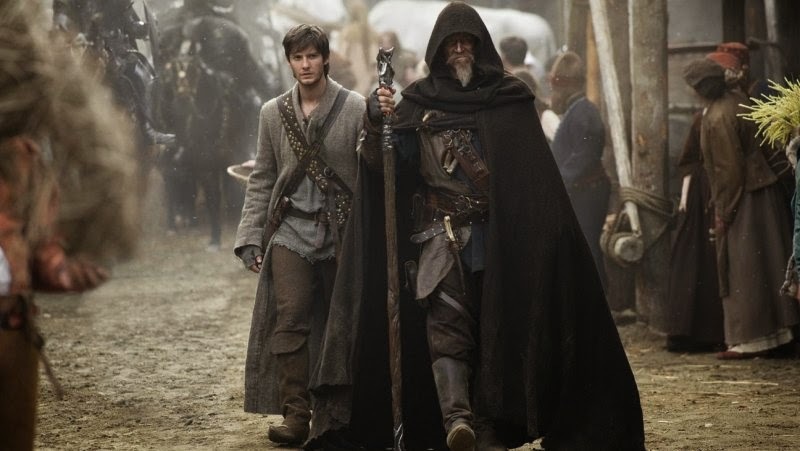 The more I think about it, it seems that there are some Star Wars influences here, not to the level of Eragon, but it is there. Anyway, it is up to Gregory and Tom to battle Malkin after an abbreviated training sequence. The movie is pretty flavorless. The acting and story are all pretty bland and I feel like I have seen it before. Still, it is not quite as awful as I was expecting, but it is not all that good either. The one good thing about the movie, and it is enough to recommend it even with the low rating, is Jeff Bridges. Seriously, he knows he is in a bad movie and plays it to the hilt. He chews the scenery like there is no tomorrow. His line delivery and timing is brilliant, the way he says his lines without applying any lip muscles, brilliant choice. I think the only thing that would have made this better would have been if they had been able to work Nicolas Cage in there somewhere. 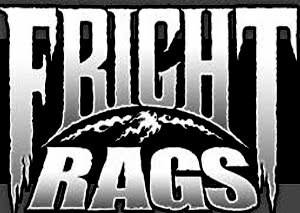 I guess I will have to settle for making a double feature of this and Season of the Witch at some point. In all seriousness, no reason to rush out for this, but see it for the great Jeff Bridges performance.